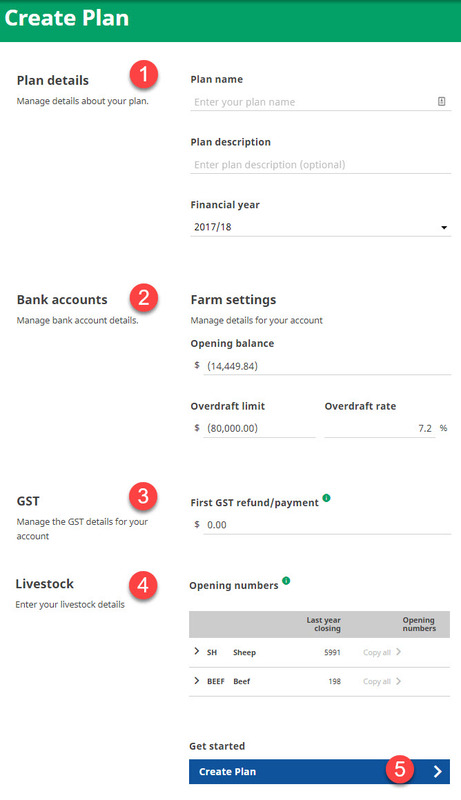 TIP: When you're entering items into a draft plan, make sure the figures are GST exclusive to match the default plan settings and reports. 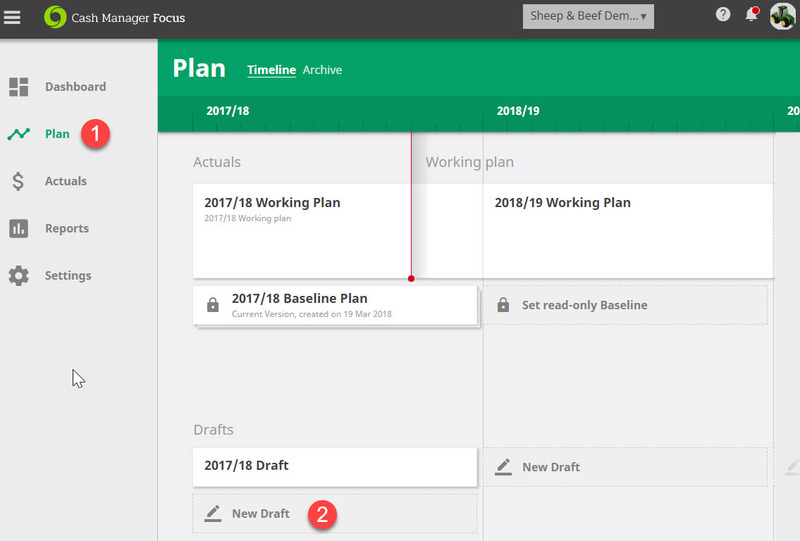 Click on New Draft in the year you want to create the plan. TIP: if you select the wrong year, you have a chance to correct it later. Such as the reason for the plan like 'Lease Block Proposal'. Don't add a year to the plan's name though, this will be done for you. You can also add a description if you want to. TIP: If you have selected the wrong year, you can correct it as this point. If you're creating a draft plan for the current year, the actual opening balance will automatically appear, though you can change it if you wish. Enter your overdraft limit and rate. If you have more than one bank account, you can enter these details for each. This is the payment/refund that takes place in the first month of the new year yet relates to the previous year's final GST period. This can make a big difference to cashflow in your plan so it's important to add an amount, even if it's just an estimate. You can either copy Last Year's closing numbers across or enter a different tally. Click on the arrow next to each stock code i.e. SH (Sheep) to record tallies against each stock class i.e. Mixed age ewes. If the button is greyed out this means a compulsory field is empty.